While “publish or perish” has been an integral part of academic research in Western countries for several decades, the phenomenon has made its way to Central and Eastern Europe (CEE) only recently. The current paper shows how publishing criteria in the field of economics and business have developed in seven CEE countries since 2000 and how economists have responded by altering their publishing behavior. 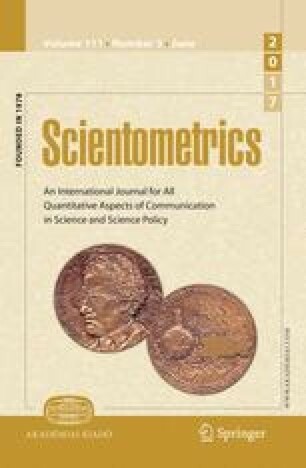 The research indicates a dichotomous development: on one hand the annual number of Web of Science publications has increased by 317% between 2000 and 2015, economists distribute their works across a wider range of journals than before, they are more cited and the weighted average of impact factors of all journals where they publish has risen by 228%. On the other hand, however, a number of economists have chosen an opposite strategy and publish mostly in local or “predatory” journals. Recommendations for policy makers are provided on how to maximize the benefits and minimize negative impacts of the publishing criteria. We would like to thank Dr. Balázs Szent-Iványi from Corvinus University of Budapest for his valuable Hungary-related contribution to this paper. We also thank two anonymous referees for their detailed reports and suggestions. As always, we are responsible for any remaining mistakes. Beall, J. (2016). List of standalone journals. https://scholarlyoa.com/individual-journals/. Masaryk University. (2016). MU’s Position on Predatory Publishing and Open Access Scholarly Journals. 7.1.2016. https://is.muni.cz/do/rect/metodika/VaV/56012837/Research_and_predatory_journals_EN.pdf. Rahman, A. I. M., Guns, R., & Engels, T. C. E. (2015). Predatory open access journals in a performance-based funding model: A comparison of journals in version VI of the VABB-SHW with Beall’s list and DOAJ. Antwerp: ECOOM. 22.12.2016. https://www.ecoom.be/sites/ecoom.be/files/downloads/151223_Predatory%20Journals%20VABB%20VI_incl_Annexes.pdf. Tranekova, I. (2016). Limity pragmatizmu v humanitnych vedach. Pravda. 21.1.2016. http://zurnal.pravda.sk/esej/clanok/380551-limity-pragmatizmu-v-humanitnych-vedach/. Web of Science. (2016 and 2017). www.webofknowledge.com.